Checking your blood sugar first thing in the morning is important. In fact, fasting blood sugar readings really help you determine how to approach the rest of your day. You have to take steps considering how low or high your fasting blood sugar is, and understand how to set your morning target and what to do to achieve it. Let's find out more about it. Your blood sugar should be around 70-99 mg/d if you are not diabetic. Your blood sugar should be around 80-130mg/dl if you are diabetic. You have low blood sugar if your reading is below 70mg/dl – this indicates a hypoglycemic reaction. Any reading over 130mg/dl indicates a high blood sugar condition. Your blood sugar is normal if it is less than 140mg/dl when you do not have diabetes. Your blood sugar is normal if you have diabetes and your reading is less than 180 mg/dl. You do not have diabetes and the reading is less than 5.7%. You have diabetes and the reading is less than 7.0%. What should my blood sugar be when I wake up? You already know the answer, but you should also know the correct way to test your blood sugar. To get an accurate reading, check your blood sugar level in 10-15 minutes of waking up in the morning. Be sure to wash your hands thoroughly before you test – any contaminant can cause inaccuracies. Avoid any caffeinated beverages before you test because it can lead to a spike in blood sugar. What If Your Morning Blood Sugar Level Is High? Due to certain hormonal changes, it is quite natural to have a relatively higher blood sugar levels in the morning. If you do not have diabetes, your body will produce enough insulin to bring your blood sugar back to normal again. It may not happen though if you have diabetes. Your blood glucose levels may stay elevated because of insulin resistance, which refers to a condition in which your body's fat cells and muscles fail to use insulin effectively. The condition also affects the function of your liver and changes the way it processes and releases sugar, especially at night. The situation is different when you have type-2 diabetes because the liver starts releasing more glucose than is needed into your blood. It means that your hormones are causing your blood sugar to go up and your liver is also making things worse by releasing more sugar into your system. This leads to a spike in blood sugar levels that stay elevated unless you pay attention to your diet and exercise. You may also have to take medications to manage your blood sugar better. If you are overweight, consider losing weight to make it easy to manage your blood sugar levels. It really helps when you have been recently diagnosed with type-2 diabetes. 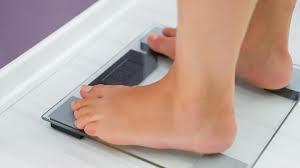 Weight loss usually helps regulate hormones and increase insulin sensitivity to lower your blood sugar levels. To lose weight, pay attention to your diet first – avoid processed foods, eat veggies and fruits, and cut the intake of less-healthy foods. Cranking up your physical activity may also help. Eating something before you go to sleep may help stabilize your blood sugar. Your snack should contain no more than 20g of carbs. This keeps your liver from producing excess glucose while you sleep. 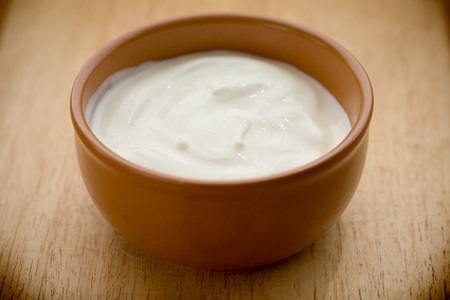 Some of the most impressive carb-friend snack options are low-fat yogurt, frozen grapes, small piece of fruit, a serving of fresh salsa and tortilla chips, and soybeans. Be sure to spend some time in doing aerobics. You can select any aerobic activity from walking to swimming to simply spending some time in the gym. 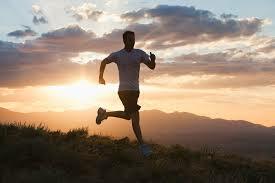 Regular exercise helps make your cells more insulin-sensitive that in turn helps manage your blood sugar better. Some simple moves to incorporate more activity in your life is to stretch for 10 minutes after you wake up in the morning, walk to your workplace if it is around the corner, take the stairs whenever possible, and sit on an exercise ball while watching TV. Before you try anything to manage your blood sugar levels, you should talk to your doctor and always consider your blood sugar reading, your lifestyle, your A1C results and any medications you may be taking. 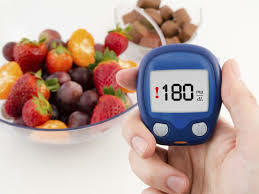 Your fasting blood sugar readings will tell you how your body worked throughout the night and this will help you make some changes to your plans to gain a better control of your situation.